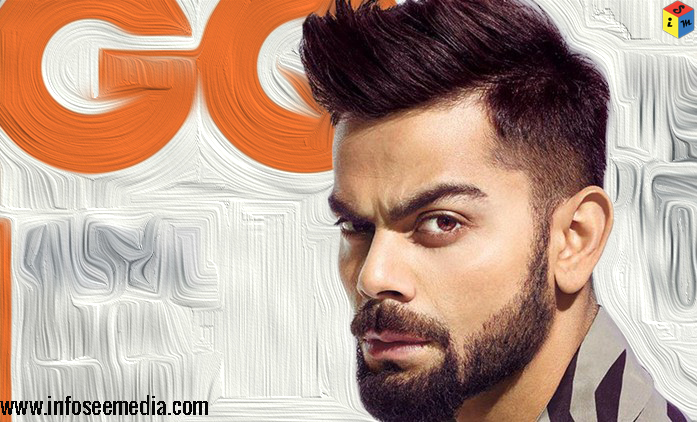 Virat is an Indian International Cricketer, who currently captains the Indian National team in all 3 formats. He was made many records in his career. Kohli was honored by Arjuna Award in 2013, the Padma shri in 2017 and Rajiv Gandhi khel Ratna( the highest sporting honour in India) in 2018. Virat Kohli was born into a punjabi hindu family in Delhi on 5 November 1988. His father Prem Kohli worked as a lawyer and his mother was a housewife. He is the youngest of his family, he has a big brother and an elder sister. Virat grew up in Uttam Nagar,Delhi and started his schooling in Vishal Bharati Public School. During his childhood Kohli is so good in batting, watching that, one of his neighbor said to Virat’s father , “Virat should be admitted to professional cricket club”. After this in 1998 Virat Kohli’s father joined him in West Delhi Cricket Academy. Here he got trained by Rajkumar Sharma. Professional Cricket career of Virat Kohli started from October 2002, when he first time selected for Delhi’s under-15 Cricket team in Polly Umrigar Trophy. He performed very well in that tournament for that reason in 2003 he selected again for the same team as a team captain and he scored 370 runs in just 5 innings with 2 centuries and 2 half-centuries. After this in late 2004 he selected in Delhi under-17 Cricket Team for 2003-04 Vijay Merchant Trophy and he scored 470 runs in 4 matches. In 2004-05 Vijay merchant Trophy he was the highest scorer with 757 runs from 7 matches. In July 2006 Virat Kohli selected in Indian Under-19 Cricket team and his first foreign tour was England. In this tour he scored 105 runs in 3 One day International matches. In March 2008 Kohli became captain of the Indian Under-19 Cricket team. He has to do captaincy in 2008 ICC Under-19 Cricket World Cup which held in Malaysia.In this tournament he again shown amazing batting as crowd expected. Virat Kohli was selected in Indian ODI team for Srilanka tour in August 2008. In the start of this tour he get chance to play in the squad of India Team-A. After this when two opener batsmans of Indian team(Virender Sehwag and Sachin Tendulkar) were injured, then Virat get chance to play in Indian International ODI Cricket team for first time. In this tour Virat made his first half century in his international career. And since then, Kohli has never looked back, and because of his game, he gained his popularity in cricket very quickly, and now he is the captain of all 3 formats( ODI, Test and T20) of India’s International Cricket Team.